This photo was taken on Christmas morning when the little ones were opening their stockings. Master R was more interested in the things Miss A got in her stocking of course! Each year Miss A understands more about what Christmas is all about and her excitement definitely built up a lot more this year. Master R still had no idea what was going on but was happy to open presents and go with the flow! Love comparing year on year photos and it's amazing to see just how much these two have changed in a year as this photo from last year shows! 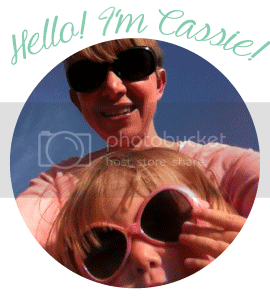 Hi Cassie, it's not until you compare photos that you realise how much children grow in a year! It looks like they were both on the 'good' list!